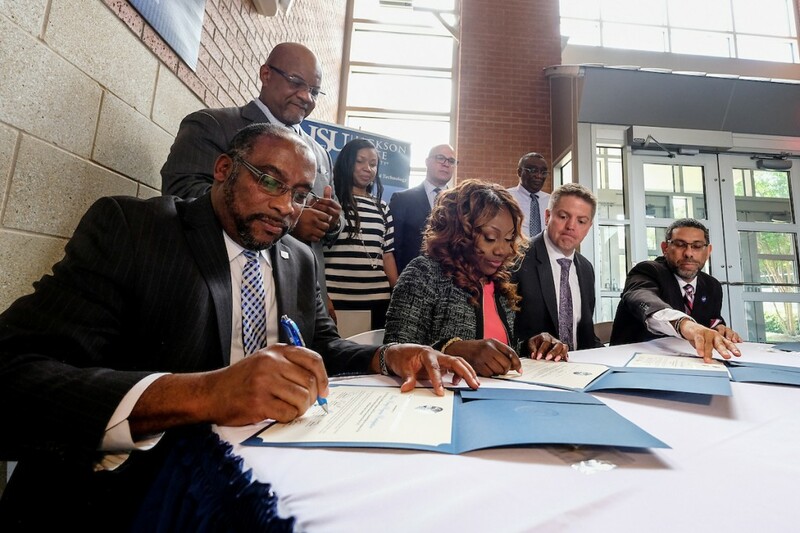 JSU made history Thursday when it became the nation’s first HBCU to sign a pact to become a protégé in the NASA Shared Services Center (NSSC) program that will allow the academic institution to learn how to land major government contracts. Jackson State University’s mentor is Enterprise Services LLC, a prime contractor formerly known as HP. The agreement was witnessed by hundreds packed in the atrium of the College of Science, Engineering and Technology (CSET). Ultimately, JSU will become a prime contractor, too. “This is without a doubt a historic day. We are doing some outstanding things. There’s nothing like being the first and earning a NASA seal of approval,” he said. 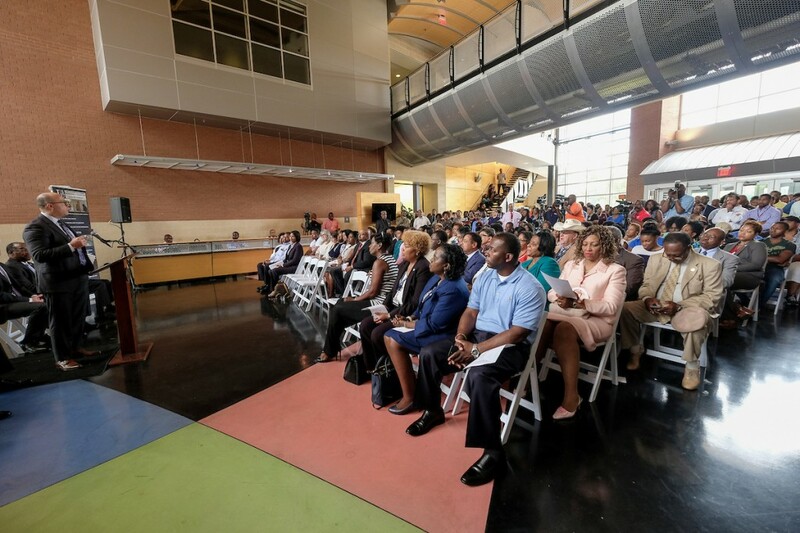 Tabisa Taliwaku Kalisa, program manager for the NASA Office of Small Business Programs, said her organization would be able to further achieve its mission by including institutions such as JSU. NASA has plans far beyond Earth and is enlisting JSU’s expertise. Matthew Welsh is vice president of Space and Science at Enterprise Services, which is primarily a government-focused organization that delivers IT solutions and early-transformation technology to customers. Welsh said, “It’s really an exciting time be in government IT and supporting our public sector. … There are so many transformation opportunities,” including mobile technology that will make the world a better place. He said Enterprise Services supports scientific and IT missions, and he wants to align with the mission of JSU by empowering people and solving real world problems. “NASA is one of the best customers I’ve had the chance to work with. When you think about the NASA mission and NASA history they really are a bunch of dreamers. … This is absolutely paramount when you talk about academic partnerships. 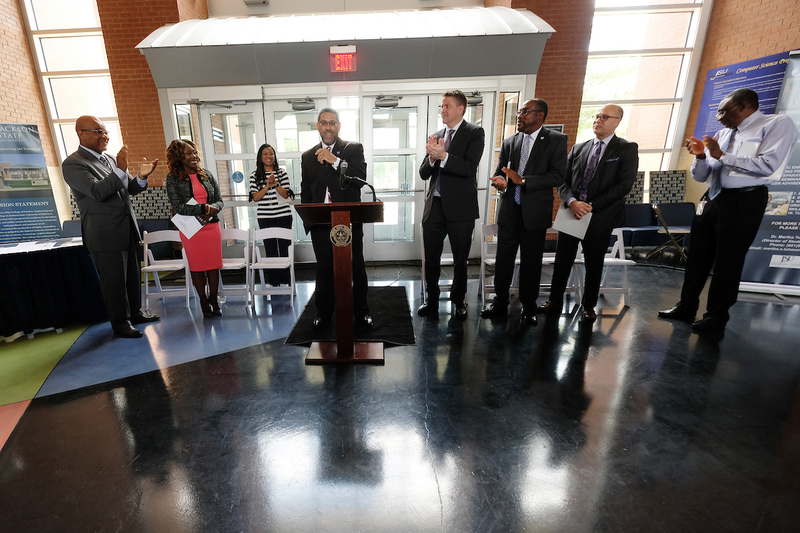 Every student who walks through the doors are really just trying to do the same thing,” Welsh said. He’s especially excited about bringing the scientific perspective into the academic space and said the success of the partnership with JSU will look like this: providing a robust pipeline of opportunity both from Enterprise Services and JSU. He said his organization has 14,000 employees and is always looking for people who are highly trained, highly motivated and willing to make difference. Meanwhile, JSU also recognized Troy E. Miller for his pivotal role in securing a spot for JSU as a protégé in the NASA program. Miller works as a specialist for NASA’s Office of Small Business Programs. He indicated that establishing the partnership was not easy. “It’s been a long struggle to get to this point. It started two years ago. 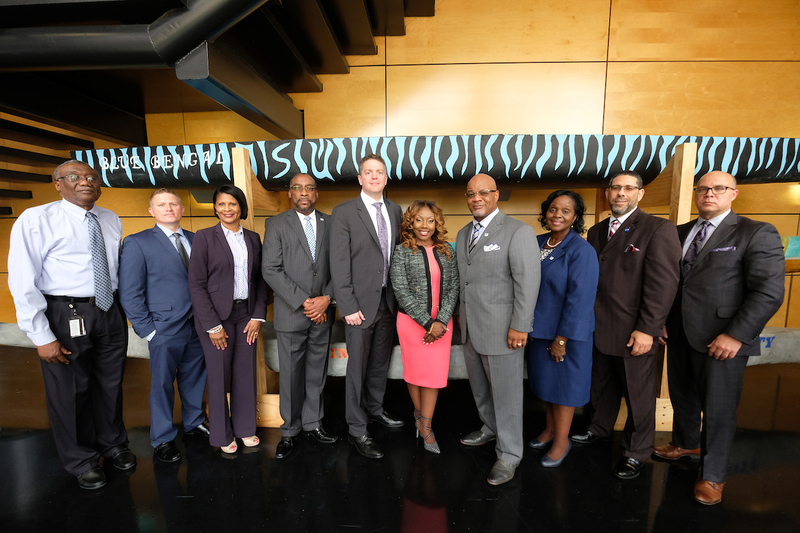 We had to do some relationship-building with Enterprise Services and with Jackson State,” Miller said. Dr. Mahmoud A. Manzoul, a JSU professor of Electrical and Computing Engineering, serves as the technical point of contact for the partnership. He handled the initial conversation about a possible relationship with NASA two years ago.